The C-27J Spartan twin turboprop, selected by the U.S. Army in 2007 to provide intra-theater airlift support in austere environments such as Afghanistan and shifted to Air Force jurisdiction two years later, now faces early retirement to the aircraft “boneyard” at Davis-Monthan AFB in Arizona. In a January 27 briefing, Air Force Chief of Staff Gen. Norton Schwartz said the service is considering either storing the medium-lift turboprops in a “recoverable” condition at Davis-Monthan AFB or making them available for spare parts. 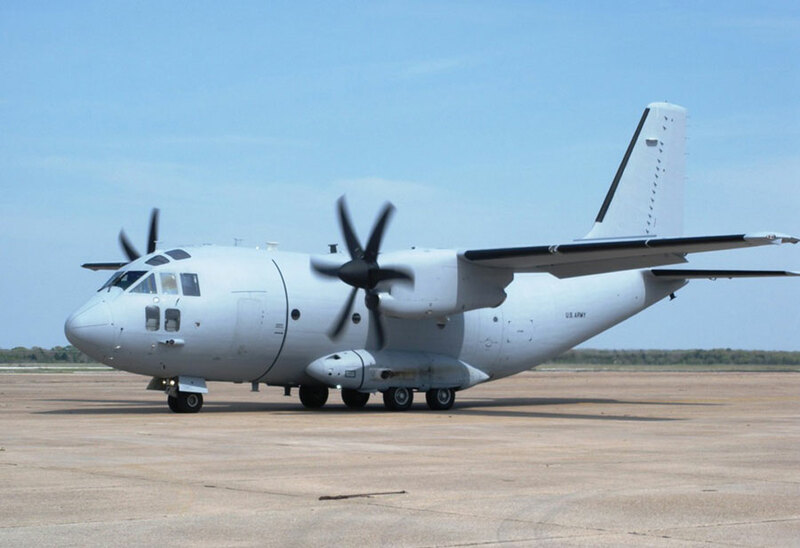 Manufacturer Alenia Aeronautica has delivered 13 of the 21 C-27Js under contract. The requirement was for 38 aircraft. The Army and Air Force were directed to “establish joint doctrine relating to direct support,” the Pentagon said. In a separate briefing January 27, Gen. Raymond Odierno, Army chief of staff, said he had signed a memorandum of understanding with the Air Force that same morning. The U.S. termination of the C-27J likely will affect an Australian Defense Force requirement for 10 airlifters to replace retired DHC-4 Caribous and soon-to-be-retired C-130Hs. The U.S. Defense Security Cooperation Agency notified Congress on December 19 of a potential foreign military sale to Australia of 10 C-27Js in a transaction valued at $950 million. Australia is evaluating the C-27J and the Airbus Military C-295. Australian defense minister Stephen Smith said the U.S. decision would obviously affect the choice. The C295 offers the best value for users, with lower acquisition and direct operating costs than any other aircraft in its category. The C295 is cheaper to purchase, maintain and operate than the C-27J. The C-27J’s fuel and maintenance needs give it operational costs that are over 60% more expensive than the C295’s. The Spartan burnt much more fuel per hour than the C295 (as much as 60 per cent more), which meant the C295 could save as much as $300 million on fuel over the 30-year lifespan of a 10-aircraft fleet. A greater endurance of 12 hours allows the aircrew to remain on-scene longer, collect more information, support other assets, and track targets for longer periods of time. The C295 has more modern aerodynamics and non-hydraulic flight controls than the C-27J Spartan. The Airbus CN-235MSP (HC-144A’s MSP) like the C295MPA is approximately 90 percent similar to the systems found on the HC-130H and HC-130J Long Range Surveillance aircraft, enabling commonality in training and operation. The C295 multi-functionality makes it the superior choice as intratheater transport aircraft. No other tactical airlifter in its category can claim its clear advantages and versatility. The C-295 can't carry the Australian "G-Wagon" armored vehicle....so, what is the point of buying a C-295 if it can't carry the cargo of the military that ordered it?? I have to agree with matt on this one. If the C-295 can't carry the G-Wagon what's the point of buying it. The G-Wagon will be in service for at least 30 years and our requirements are somewhat different from the US Air Force and US Army's. It makes sense to buy an aircraft that has 100% commonality in engines, props and other systems and 98% commonality on the flight deck. Australia has always and I hope will always continue to think independantly in our military purchases. The figures stated by the US authorities are for there particular situation where they have hundreds of C-130s available to do the job. We don't and we need and strong hefty performer to take over the roles of the old Caribou and to buy something that can't do the job is simply non-sensical. We must have a commonsense approach to our military purchases.